This prehistoric site of Newgrange is an awesome day trip from Dublin. 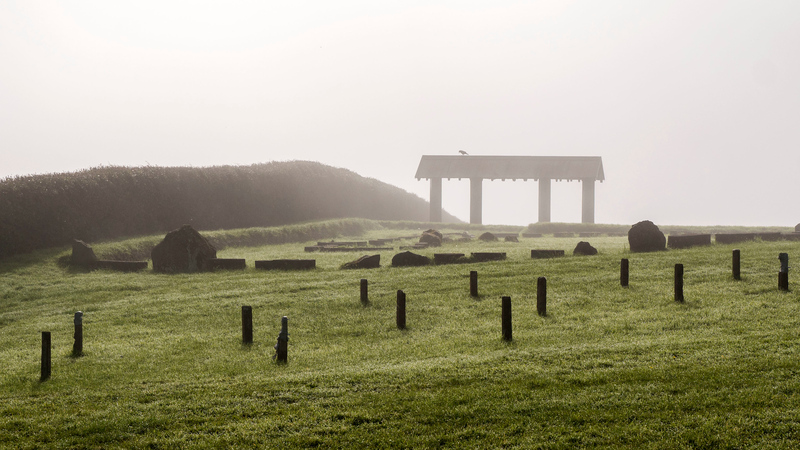 On the way between Dublin and Belfast, there’s an ancient monument that you need to visit. While I didn’t know too much about Newgrange or Brú na Bóinne before I travelled to Ireland, it’s a very special and unique place. It’s easy to become absorbed in its history when you imagine stepping back into this ancient world. 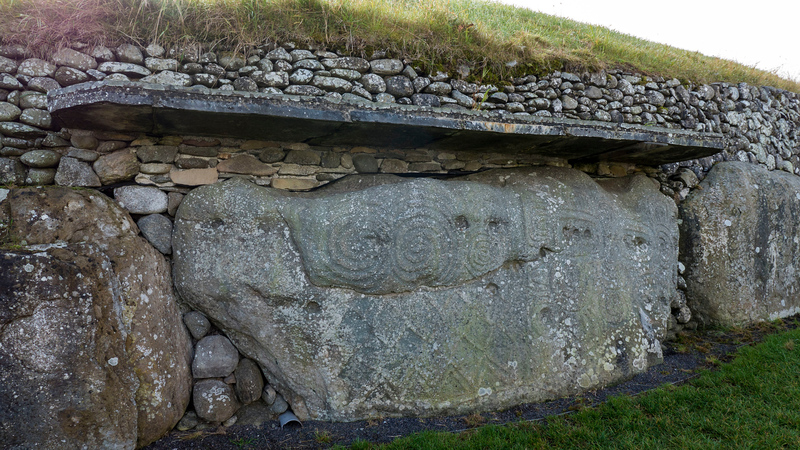 The Brú na Bóinne Complex consists of three prehistoric sites: Newgrange, Knowth, and Dowth. Bru na Boinne is Europe’s largest concentrated collection of prehistoric megalithic art, and it is a UNESCO World Heritage Site for this very reason. 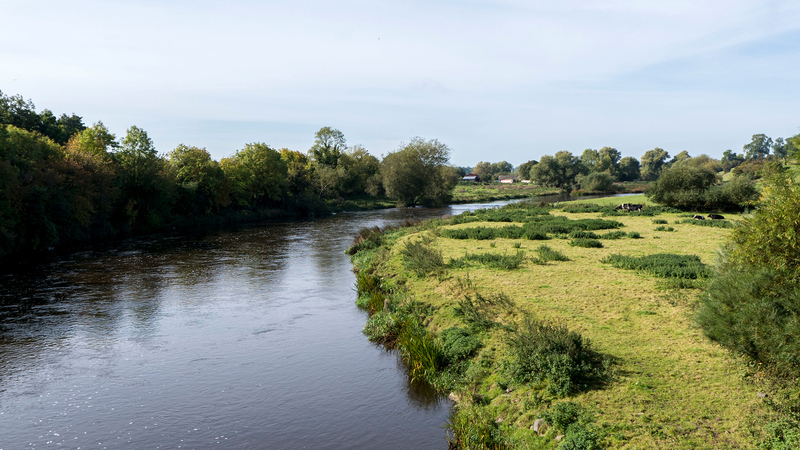 It’s approximately 50km north of Dublin, making it the perfect Dublin day trip. 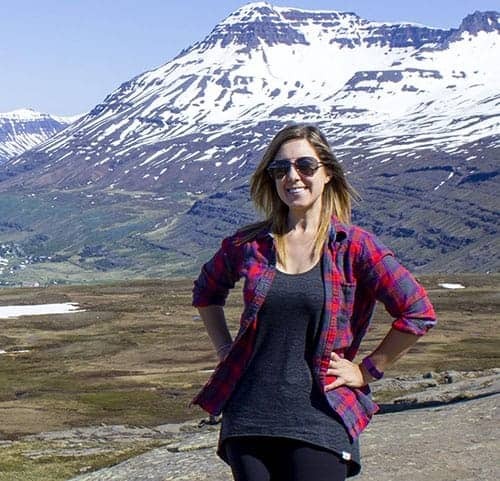 Do you love visiting ancient and historical sites when you travel? Have you gone to any in Ireland? 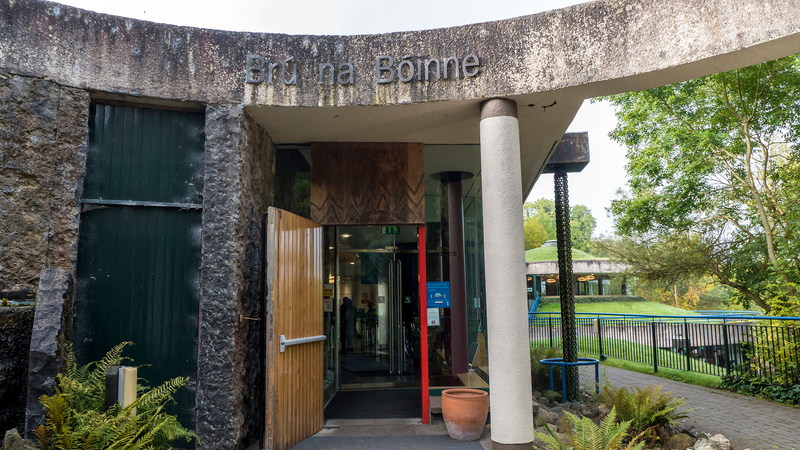 To visit Newgrange and Knowth, you must purchase a ticket at the Brú na Bóinne Visitor Centre. You can buy tickets to the exhibition and a trip to Newgrange, the exhibition and a trip to Knowth, or a pass to visit both sites. As I had a limited amount of time, I decided to explore Newgrange only. You can travel by car to the third monument, Dowth, and you don’t need a ticket to visit. However, there is no entry at either of the two passage chambers there. 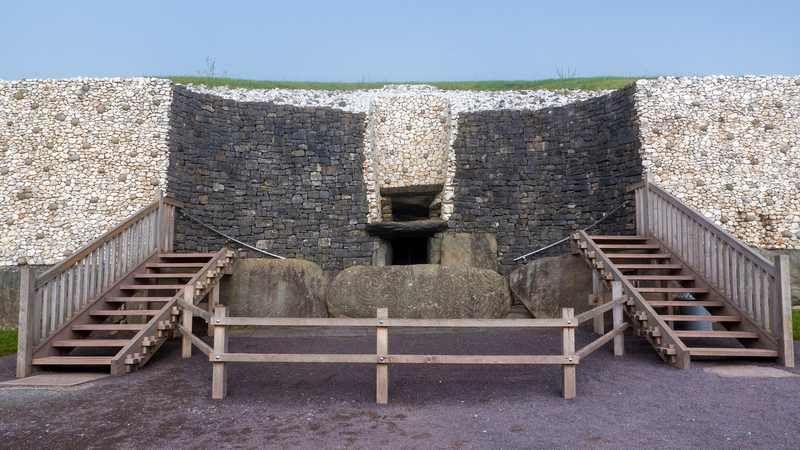 The ticket for Newgrange Ireland includes transportation by bus to the site, as well as a guided tour. Our group walked from the visitor centre to the parking lot to catch the tour bus. 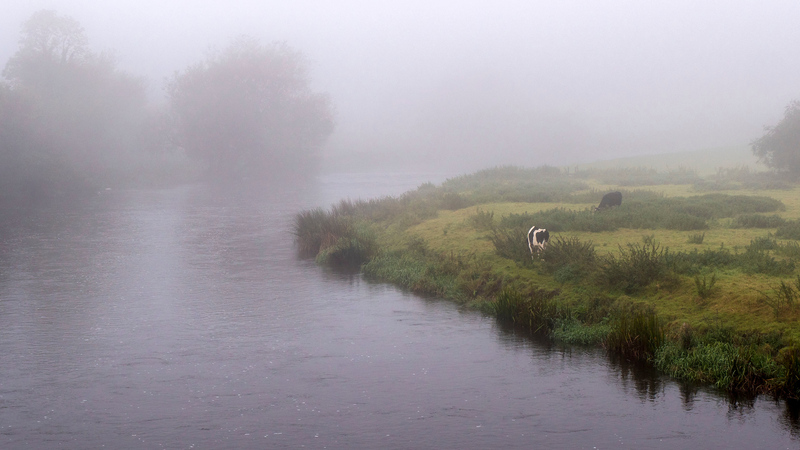 On our way, we admired the Irish countryside, shrouded in fog. I could just make out the faint silhouettes of cows, munching happily on grass. Newgrange was constructed around 3200 BC, making it 500 years older than the Giza pyramids and 1000 years older than Stonehenge. Built by Stone Age farmers, it’s quite possibly the most important monument in Ireland’s Ancient East. It’s a massive mound on about an acre of land, measuring 13.5 metres high and 85 metres across. 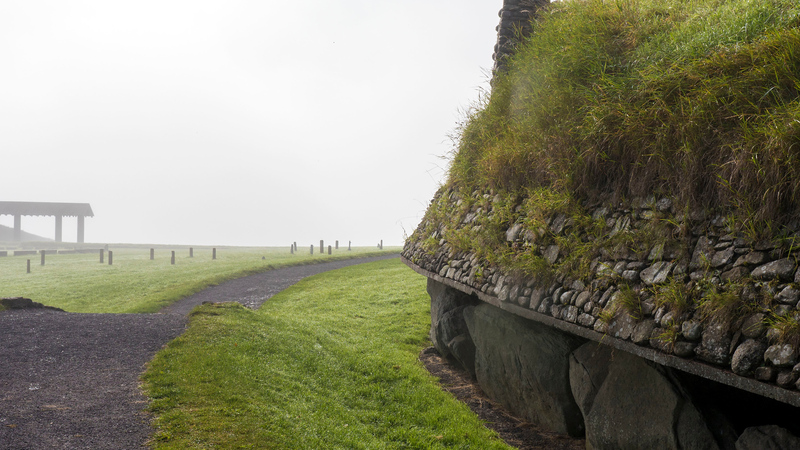 It was pretty foggy out at the start of the tour, making Newgrange even more mysterious as our group approached. The fog gradually dissipated as the morning went on. We assembled in front of the passage entrance as our tour guide described the history of Newgrange. In 1699, it was rediscovered after many centuries. Without this tour, Newgrange would have simply looked like a pile of rocks. As our guide detailed the intriguing history and stories behind Newgrange, the monument truly came to life. 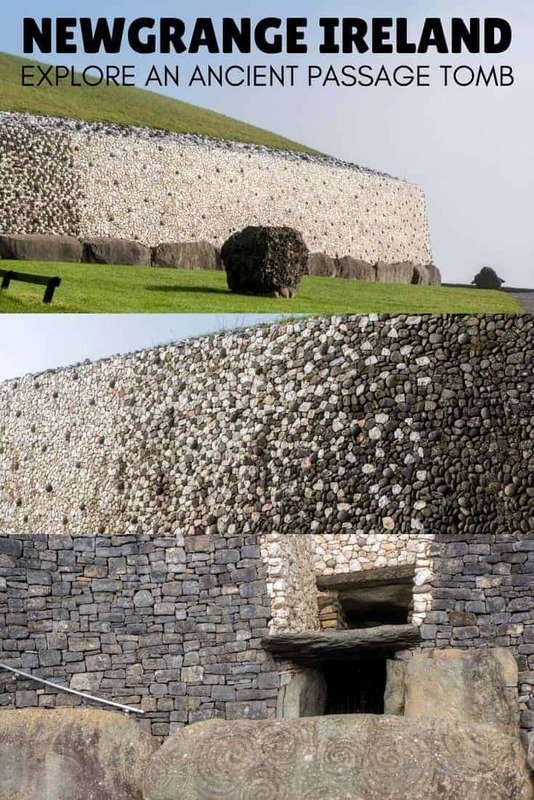 Newgrange was built out of 200,000 tons of stone. We have no idea how the largest stones were moved to the site back in the day. 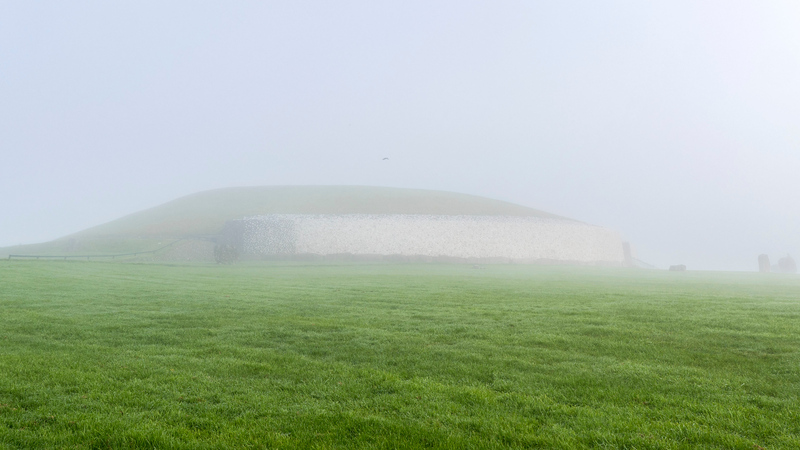 It’s estimated that the construction of Newgrange took 30 years with 300 workers. While we don’t have an exact idea of how Newgrange was built, those who worked on the temple were highly skilled labourers. The top surface of the mound has grooves, and the workers filled any gaps with sea sand and soil. Therefore, this ancient building is completely waterproof, and no water has leaked to this date. Furthermore, the passage is aligned with the sunlight. During the Winter Solstice, the light perfectly flows into the front doorway of the tomb. The stream of light reaches the far back wall. This sophisticated design allows the inner chamber to illuminate for 17 minutes. Every year, there is a lottery that selects random people to experience Newgrange on the Winter Solstice. In 2016, 33,000 people entered the contest and only 60 were chosen to visit. Not only do you need to have the luck of being picked, but the weather must also be on your side. Here’s hoping for sunny days on the Winter Solstice. Our tour group was split into two smaller groups. 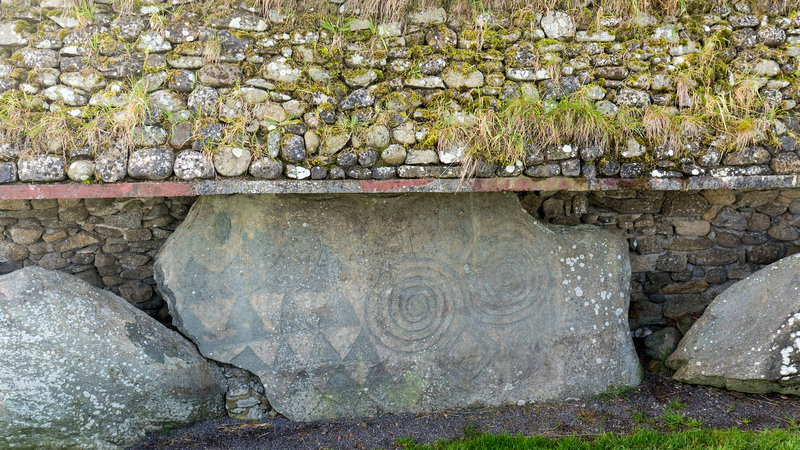 One half entered the front passageway of Newgrange while the other half explored the site independently. After a short while, the two groups switched places. Only a small group can enter the tomb at one particular time. No photography is permitted inside the temple. You’ll have to soak up the surroundings completely while you’re there. After you enter the narrow passageway, you’ll stand within a small, circular chamber with a very high ceiling. It’s easy to determine that this important site was much more than a tomb. Newgrange was an important social, economic, and religious gathering place. 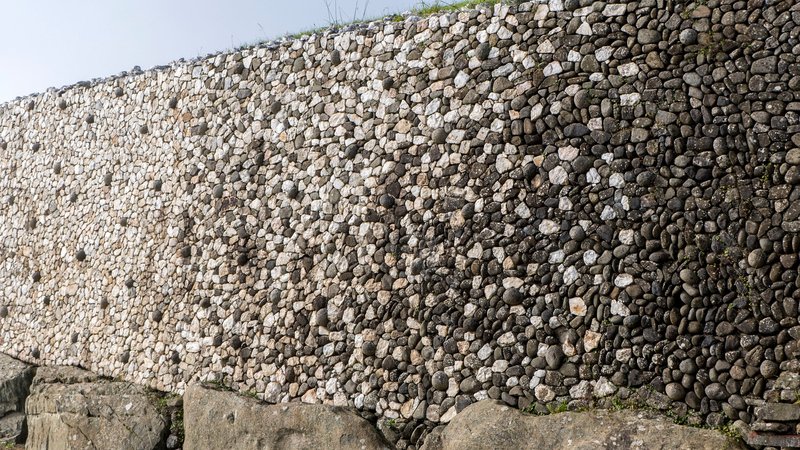 There are numerous rocks at Newgrange that have intricate patterns carved into them. 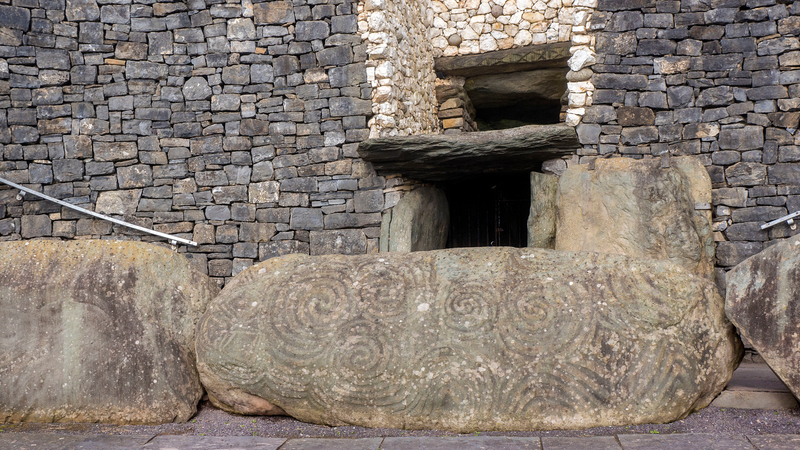 These examples of megalithic art include the famous triple spiral on the front entrance stone. During our free time, I wandered around the complete circumference of Newgrange Ireland. This is a great way to discover the ancient art around the site. 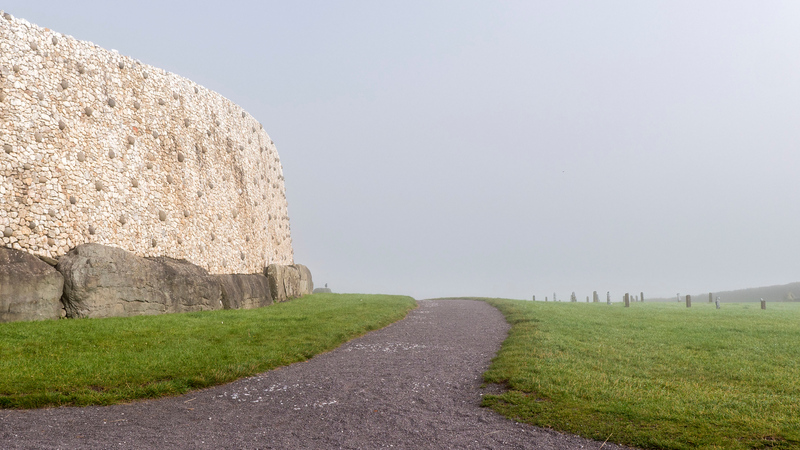 Newgrange graces the countryside north of the river Boyne in County Meath. 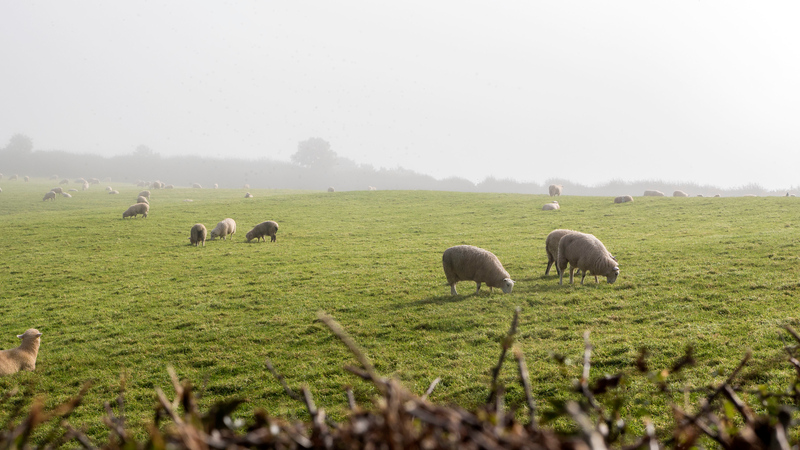 As you walk around this ancient monument, you’ll share the company of the resident sheep from neighbouring farms. 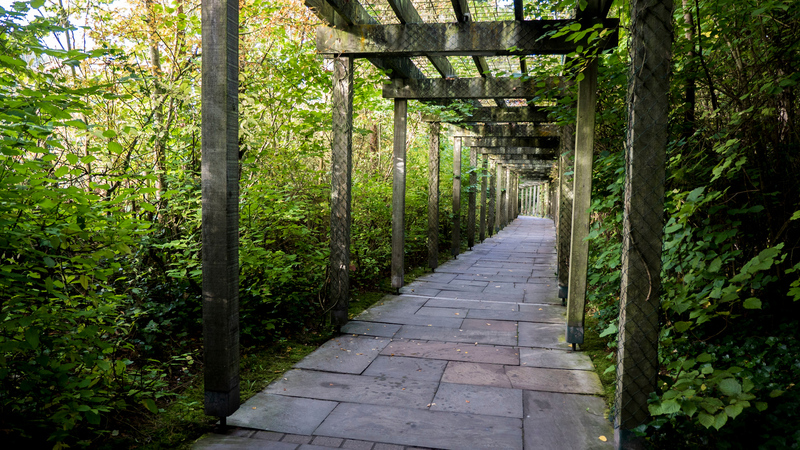 It’s a very peaceful destination, and it’s easy to become enraptured in the beauty of your surroundings. It’s hard to imagine what life was like back in the day. Residents from 5,000 years ago once walked these same fields. 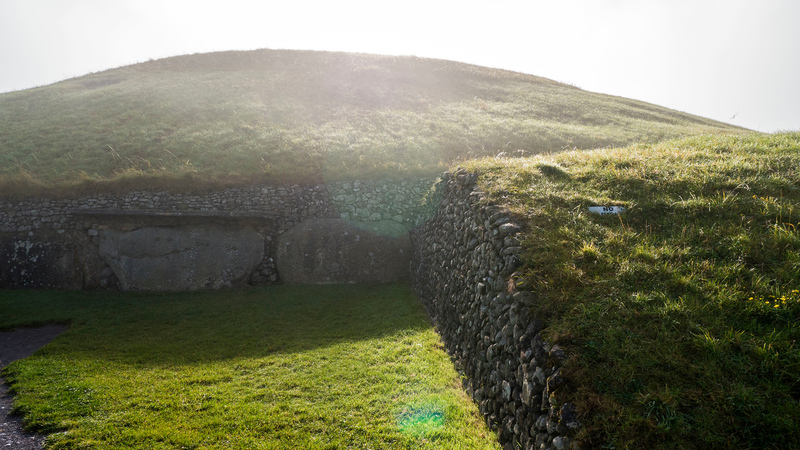 If you have the time, purchase the ticket to see both Newgrange and Knowth. While I didn’t have the chance to experience Knowth, I was very content with my trip to Newgrange and I highly recommend this tour. 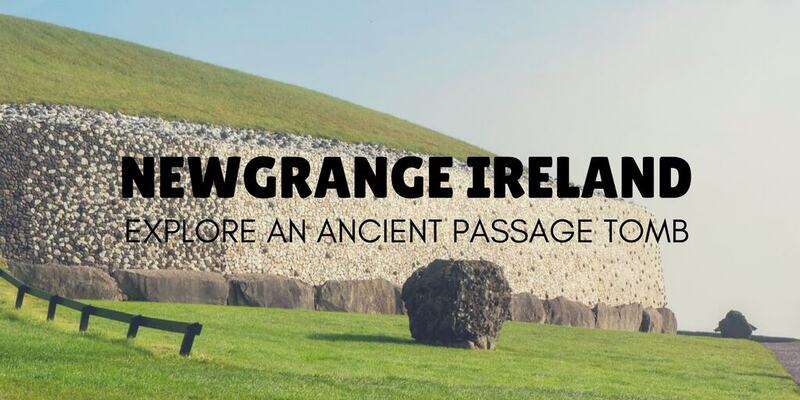 It’s easy to visit Newgrange Ireland on a day trip from Dublin. You can also stop at Newgrange while driving between Dublin and Belfast like I did. 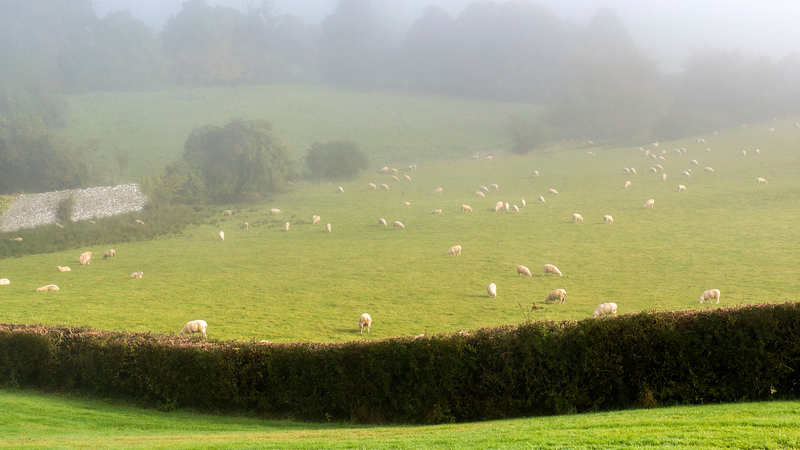 While not as famous as Stonehenge or the Giza pyramids, Newgrange is fascinating. I can’t believe that I had never heard of this ancient monument before planning my trip to Ireland. It’s an extremely awe-inspiring prehistoric site that you must venture inside to see for yourself. 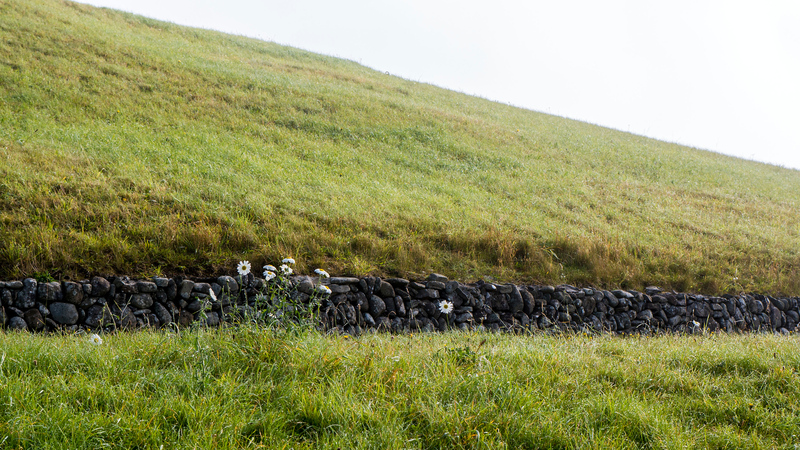 A trip to Newgrange Ireland is not to be missed. 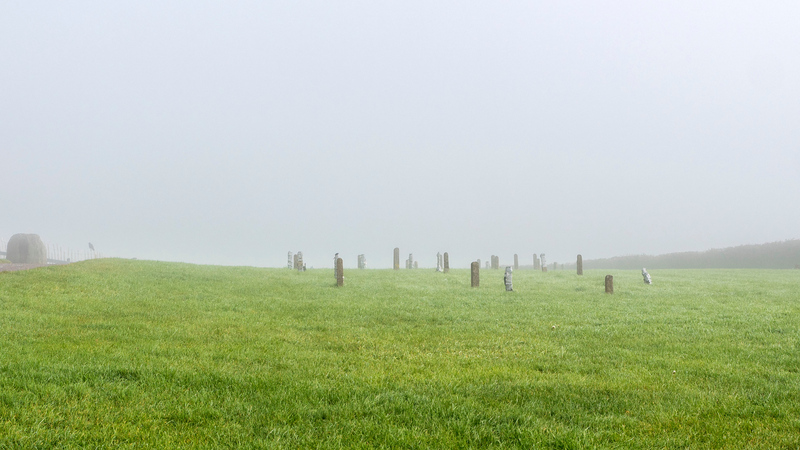 View my entire travel photography album of Newgrange. 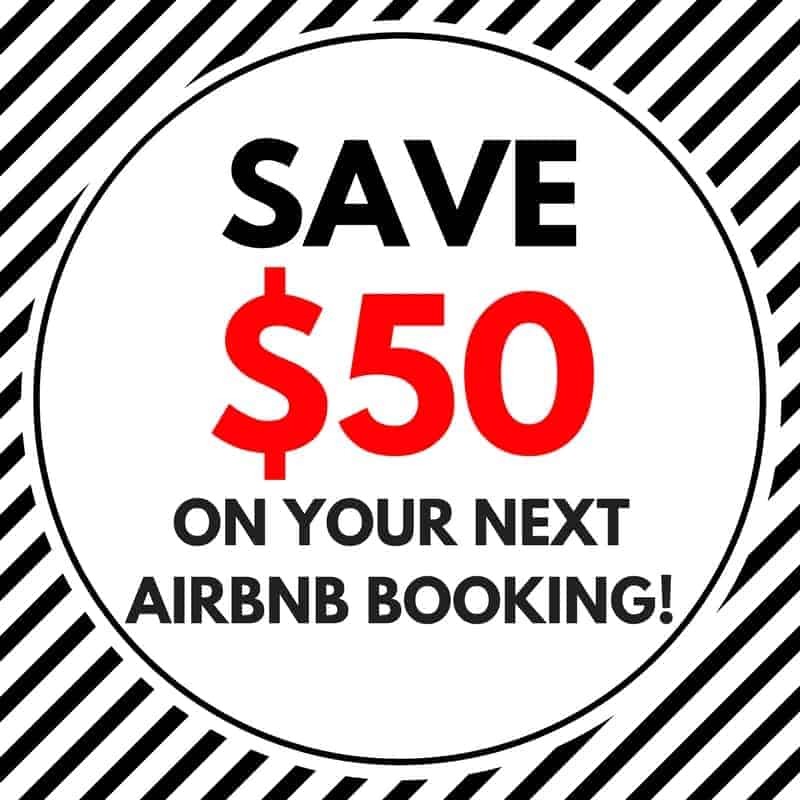 Thinking about renting a car in Ireland? I rented my car for three weeks with Hertz. Check out their website for great deals on car rentals! Luxury: The Merrion Hotel – The Merrion Hotel has a pool, great location, free Wi-Fi, and it’s highly ranked on Tripadvisor. Middle of the Road: Brooks Hotel – A romantic getaway in a centrally located Dublin hotel. Budget: Roxford Lodge Hotel – An affordable choice within walking distance of everywhere in Dublin. For hours and prices, check the Heritage Ireland website. 1000 years older than Stonehenge? That’s old. I have not visited Ireland yet but saw a few fab historical sites in Cyprus a few years ago. We visited the Tomb of the Kings in Paphos. Brilliant scenery with the Mediterranean as the background as these ruins were thousands and thousands of years old, all BC. Like a step back in time. Or 50 steps back in time. Excellent post guys. Hi , Actually i never visited there but i wish go there once in my life. So many good information are in blog which i liked the most. I’m a history buff especially relating to lost ancient civilizations so I would totally visit Newgrange! The stone structure and carvings really intrigue me.